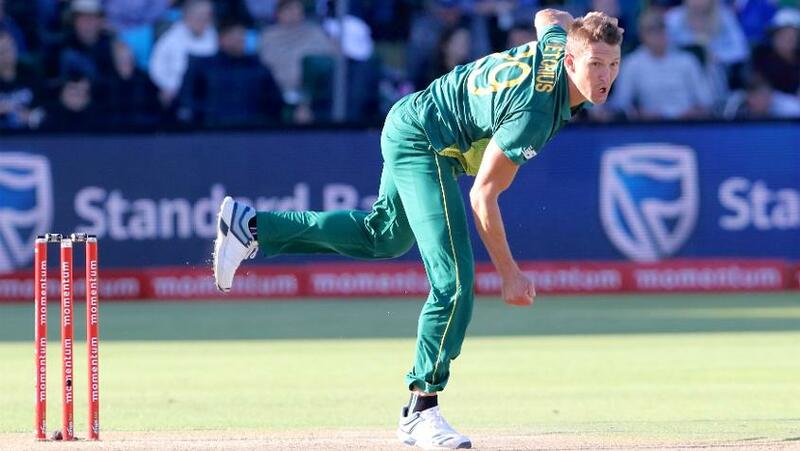 South Africa can count on Dale Steyn, Kagiso Rabada and Lungi Ngidi to play a part in the ICC Men's Cricket World Cup 2019, but the team is still looking for the fourth prong of their pace attack, an "x-factor bowler", captain Faf du Plessis has said. “Those three will go and they will play,” du Plessis said of Rabada, Steyn and Ngidi, looking ahead to the tournament in England and Wales, which begins on 30 May. “We need one more fast bowler. The home series against Pakistan, which stands level at 1-1 ahead of the third one-day international on Friday, 25 January, is a chance for players to stake their claim for a spot in the final 15 making the trip for the World Cup, the captain said. With the likes of Quinton de Kock, Dale Steyn (rested for the first two games) and Ngidi (injured) missing, it was a "blessing in disguise". “We have been a bit rusty in both the batting and bowling departments,” he pointed out. “We haven’t put in a performance as close to the one we played in the last ODI in Australia. Uncapped quick Beuran Hendricks has been called up to South Africa's squad for the final three ODIs against Pakistan. Dale Steyn and Quinton de Kock have been recalled, while Duanne Olivier, Dane Paterson, and Heinrich Klaasen have been left out. The first two ODIs were played at Durban and Port Elizabeth. In the first, the hosts could only post 266, while in the second, they collapsed to 80/5 in the chase of 208. The slower wickets were important keeping in mind preparation for the World Cup, du Plessis insisted. “Centurion and Wanderers [the venues for the next two ODIs] should give you that bit of extra bounce,” he said. “The first two wickets were slower and in the bigger picture, you want to test yourself in case you get a slow wicket in the World Cup.